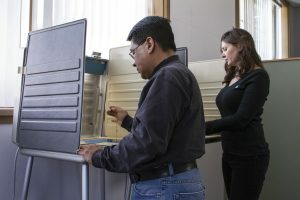 As many as 15 to 17 ballot issues will be voted on in Colorado this fall and many of them will have adverse impacts on businesses and the business climate. Conversely there are some ballot measures aimed at stemming this ballot overload which has resulted in our state constitution being more than double the length of the US constitution. Shown below are the ballot issues that the Chamber has considered so far. Several more are scheduled for the July Board Meeting. Amendment 69. Chamber Opposed. Already certified for the ballot this measure would raise state taxes $25 billion to create a new health care payment system for all individuals living in the state. A new governmental entity called Colorado Care would be created and funds along with benefits would be managed by a 21 member elected board that is not subject to recall. Funds would be generated from a payroll tax and a 10% income tax on small business owners and retirees who report more than social security income on their tax returns. The impact on economic development could be substantial. Amendment 96. Chamber Supported. This amendment would require that any petition for a citizen-initiated constitutional amendment be required to have at least two percent of the registered electors who reside in each state senate district in order to be placed on the ballot. In addition, at least 55% of the votes cast are needed in order to pass a new constitutional amendment. Amendment 63. Chamber Opposed. This amendment concerns a person’s right to a healthy environment (including air, water, land and ecological systems) and requires state and local governments to assign the highest priority to protecting the healthy environment It also allows individuals to sue governmental entities to enforce this fundamental right. In essence any citizen could bring action against a local government to limit any business activity it deems a danger to their safety and right to a healthy environment. Amendment 75. Chamber Opposed. This amendment to the constitution authorizes local governments to prohibit, limit or impose moratoriums on oil and gas development. It also authorizes local laws and regulations that are more restrictive that the state as a protection of a community’s health, safety, welfare and environment. Amendment 78. Chamber Opposed. This amendment is a new requirement on oil and gas development that requires a setback of 2500 s.f. from the nearest occupied structure or other specified or locally designated area. It has been estimated that as much as 90% of the land mass in the state could be impacted by this new requirement.